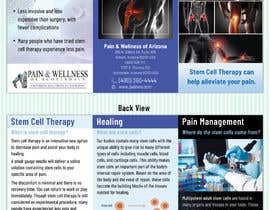 I work for Pain & Wellness of Arizona, an integrative healthcare clinic employing osteopathic and chiropractic doctors, medical and physicians' assistants, and therapeutic massage therapists. Our primary focus is the management of chronic pain through medical and homeopathic interventions enhanced by nutrition and physiotherapy education. 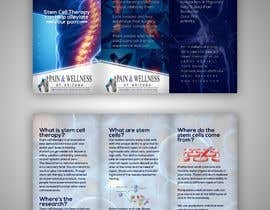 I have created an outline of the graphics and educational information I would like to have in a pamphlet for stem cell therapy. I want to offer a graphic designer the opportunity to take this outline & make it great. Hello Sir/Madam, I am working on it, Please don't close the project till end of the project time, I will upload print-ready design as soon as possible, Thank you! I am reviewing it currently. 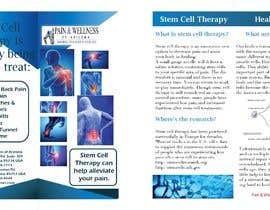 Is there a reason you changed the logo from "PAIN & WELLNESS OF ARIZONA" to "PAIN & WELLNESS OF SCOTTSDALE"? I am working on it. If you have a request of any kind just contact me. 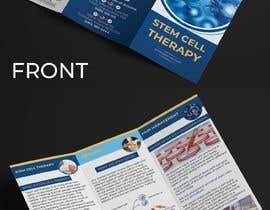 what will be size ok tri-gold Pamphlet ? A4 ? Hello, I am working on it, will design tri-fold print ready, Please make it sealed, so no one copy the design!, Thanks! I would like to clarify this project as a trifold pamphlet. Thank you! Hello sir! I saw the doc file that you attached. I will show you a great design soon. Thanks!